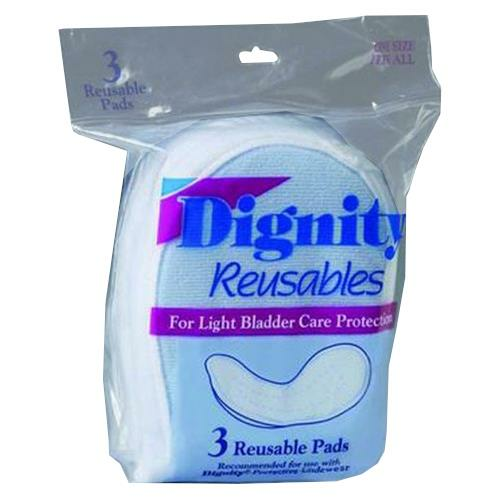 Dignity reusable/washable personal pad is absorbent core is made from a poly/rayon blend. Barrier is polyvinyl knit. It can be worn in any dignity garment or in user’s own underwear.